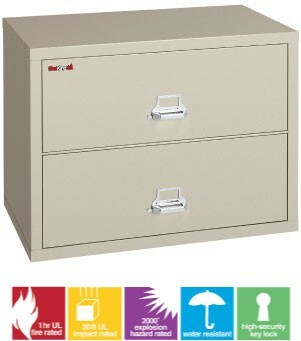 The most storage space of any Fire King 2 drawer lateral fireproof file cabinet. File both legal and letter sized documents in the only UL and ETL rated professional grade fire file!!! 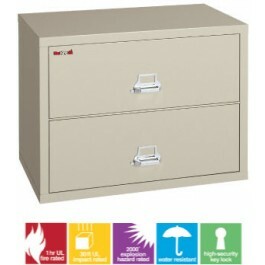 You deserve the best security and peace of mind for your business and only FireKing lateral filing cabinets give you UL Ratings, ETL ratings and the option to make it waterproof with DRYFiles.